Schmidt Security Pro offers a full range of Security Officer Services. Our promise to “Protect and Honor Those We Serve” as well as our wealth of experience, guarantees your facility will remain safe and secure. Bringing people together to protect your business. The best way to ensure the most reliable security is to employ the best candidate for each position. That’s why Schmidt Security Pro uses an extensive screening process when hiring and continues with intensive candidate evaluation for specific jobs. 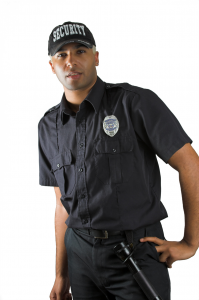 Instead of “screening-out” undesirable candidates, Schmidt Security Pro concentrates on “screening-in” the best candidate – matching the skills of the officer to the skill requirements needed for the job. Schmidt Security Pro’s commitment to employee training and development is amongst the finest in the contract security industry. Well-designed, professionally executed training programs help produce knowledgeable and motivated employees, which results in lower turnover, less absenteeism, and higher standards of performance than industry competitors.